Divided by blood. Destined by fate. Emory is a shifter living on the edge. For years he’s struggled with his Alpha nature. Then he meets the one woman capable of soothing the savage beast—Mary incites a carnal hunger that leaves him eager and burning. Sweet, kind and impossibly beautiful, Mary is everything he and his wolven half have been craving. Unfortunately, she’s also something else, something dangerous—a Shepherd, bred of the line of hunters determined to destroy his kind. Emory discovers earning Mary’s trust is the least of his concerns. Her relatives want Mary back. If Emory won’t hand her over, they’ll do everything in their power to take her from the pack. As danger closes in, the passionate connection between them flares into a lascivious bond that refuses to be broken. If Emory wants to keep his mate, he’ll have to protect her—at any cost. After learning of the truly sickening facts of her lineage, Mary knew it was either kill or be killed and for the past couple of months she has been on run. Living a normal life is no longer an option, but disappearing and staying one step ahead of her demented family is easier said than done. With a little help from her deceased parents, Mary is determined to not look back. 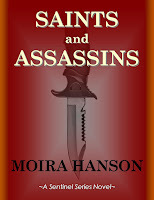 However, there are two groups that hunt for Mary and one is about to forever alter her life. It's not the most ideal of circumstances in reuniting with the love of his life, but Emory has a lot riding on finding Mary – his sanity being one of them. Making her understand what she means to him will take patience, but time has run out when Shepards discover her hiding in plain sight and are determined to rid her of existence. Now in order to keep her safe, Emory must make her understand who the real bad guys are and turn her world upside down with a bloodbond that may be his undoing if she rejects him. Unfortunately, the pack may not be so welcoming and Shepards are much closer than any of them realize. After meeting Emory and Mary in the first story of the series, I was really excited to learn more about these two loners. The focus is once again on the forming of the wolf/human relationship, but this time there is a life or death consequence for not just one, but both parties involved. Things develop quickly and heatedly in the physical department with the fallout being Mary's complicated emotional state and the rising Shepard threat. The points of view are balanced between Emory and Mary, but also add Trey and Sadie as well as an update from Diskant and Ava. The trend of these pairings has been tortured males in wait for many years of a mate to complete them and the females with the past trauma's to overcome. It's a nice set-up if a bit predictable, but fun in the sense of the males trying to exert their dominance in the bedroom while the females actually run the show. In the overall storyline there are a couple more eventual pairings to look forward to and the continual slow build of the war with the Shepards. Although I didn't find myself as emotionally invested as expected, the characters and the world around these paranormal beings is well built and the dialogue and pacing felt realistic. 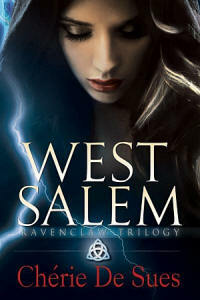 I will continue to read the series, and it's apparent that vampires and magic are on the horizon. It will be great to see where the author decides to take the story next.